After becoming quite established, SparkGig wanted to attain the next level by expanding its business, with an emphasis on international expansion. They were unsure which city would be the optimal location, which is why they approached ACE Consulting Group. In order to get an understanding of the market, Porter’s 5 Forces of Competition was used as one of the frameworks to structure the report. This was deemed to be an effective method because it provides SparkGig with important aspects of its competition to consider when expanding. For the first force, competition, we focused on researching existing firms. This included any websites that aid musicians, event planners or both. To further our analysis, we compared each competing website with the features that SparkGig offered and pointed out advantages and disadvantages of each. Aside from features, we also focused on the geographies of the competitors, as this would provide SparkGig with information about which cities/ countries have more competition. Overall, we concluded that the threat from existing competition was high in North America, but weak in other continents like Asia, as there are less companies providing similar services overseas. The bargaining power of buyers and suppliers are originally two separate forces of competition; However, SparkGig’s industry is quite unique because the suppliers can be considered the buyers and vice versa. 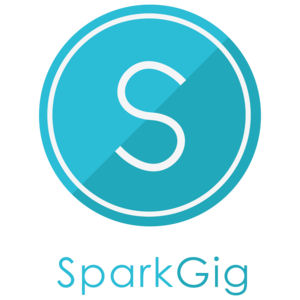 For example, a customer of SparkGig’s services can be a musician, but at the same time, these musicians supply SparkGig with performers to offer to event planners. The same idea applies to event planners. Despite this there were still discrepancies in terms of the bargaining power of event planners and performers, so we had to consider them separately. The differentiating factor was that there were more performers looking for venues to play at compared to event planners looking for performers. This gave the event planners more bargaining power as they had more choice, thus giving them more control of the pricing. To analyze the threat of new entrants, we looked into the costs required to establish a website based platform for performers and event planners. Through the analysis, it turns out that the monetary costs were quite low as all that is needed were hosting fees and a website designer. This increases the threat of new competition as it does not take a lot of capital to start a business within this industry. However, these threats are offset by the fact that there are already many websites each providing some unique features to serve performers and event planners, which makes it very difficult for new entrants to differentiate themselves. In addition, even though there is less competition in cities outside of North America, SparkGig’s features serves most, if not all, the needs for this industry, making the threat of potential entrants relatively low. Lastly, threat from substitute products required research in other industries. To do this we looked into more general purpose websites such as Kijiji and Craigslist as well as social media sites. It turns out that many musicians advertise on these sites, which indicates a high threat from these substitute websites since they already have a large portion of the market share. To further this analysis, we wanted to identify the reason social media and other general websites could capture consumers from this market. After further research, it was found that the free-to-use component played a huge factor in attracting local musicians that do not have a very high budget. Although not as purpose focussed and easy to use as SparkGig and websites alike, the threat from substitute products was high because the consumers valued price more than benefits in this case. Along with Porter’s Five Forces of Competition, we did some general research on specific cities and finding the potential markets, difficulties, and competitors for that specific city. From there, we came up with suggestions on how SparkGig could implement their expansion into said location. After delivering the report, SparkGig announced that they were expanding into one of the cities suggested by ACE Consulting Group.